The Ukrainian Association of Publishers of Periodic Press came out against a draft law aimed to force the country’s media to switch to the Ukrainian language, Lenta.ru website reports. In a statement issued in Ukrainian on the association’s website, the publishers expressed their concern over the attempts to impose “consumption of information in specific languages” to readers. According to the publishers, this is done against the will of the people, who are used to reading in Russian. In addition, the authors believe that the bill "contradicts the fundamental provisions of rights and freedoms as well as regulations of economic activity in Ukraine and in Europe." 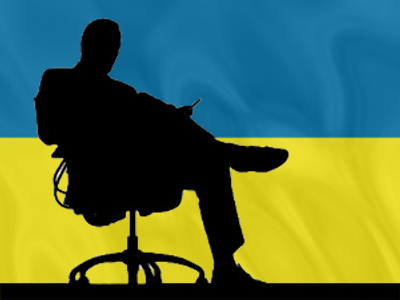 Publishers warned that if the law aimed to make all the media in the country use Ukrainian is enacted, 20 thousand people would lose their jobs, and the budget will face a shortfall of 250 million hryvnias (around $ 28.5 million). "The introduction of language standards in the press will lead to some shortages of Russian newspapers and magazines that would re-orient readers to the Russian media, and this is especially dangerous on the eve of elections," the statement says. 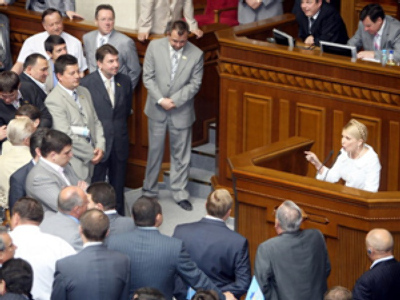 The draft law "On State language and minority languages" was registered in the Ukrainian parliament – the Rada – by the MP of the Yulia Timoshenko block, Yuriy Gnatkevich. Under the provisions of this document, all Ukrainian media – both print and electronic – should adopt the state language. 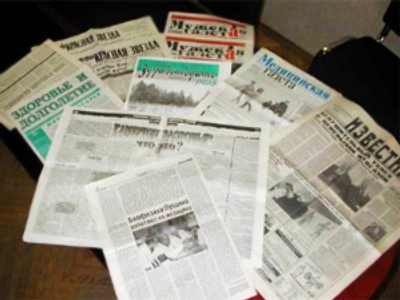 According to the MP, about 90 per cent of the newspapers in Ukraine are published in Russian. "We need to get Ukrainians to respect their native language and speak it. And an enormous educational role in this is played by the media," Yuriy Gnatkevich said. Around half of the country of 48 million speaks Russian. The share of Russian population in Ukraine is estimated as no less than 22 per cent.